“There’s a fine line between genius and insanity. 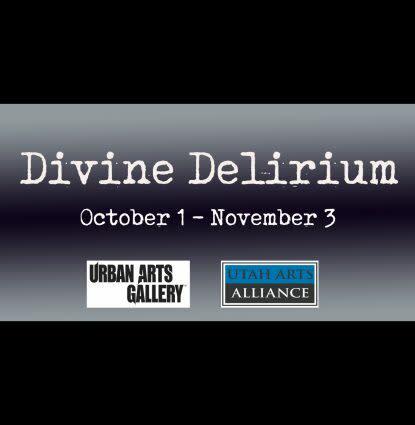 I have erased this line.” –Oscar LevantThe artists behind “Divine Delirium” boldly dove into the deep end of the inspiration pool and resurfaced with surreal, otherworldly, and dreamlike pieces of art to share with the world. 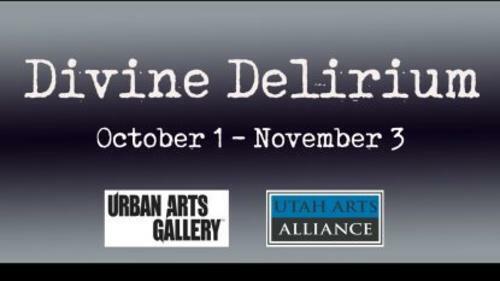 Simultaneously whimsical and heartfelt, provocative and playful, our October exhibit is a unique and compelling adventure through the wilder realms of the imagination.Featured artists include: Alex Gregory, Alexander Hofstetter, Alicia Cicalese, Andi Olsen, Bea Hurd, Caitlin Hawker, Chad Crane, Emma Goldgar, Halley Bruno, Ivan Ramos, Jenna Rogan, Jiyoun Lee-Lodge, John Larsen, Joshua Baldi, Kemp O’Brian, Kurt Beswick, Madi Mekkelson, Matt Jones, Michael Fahl, S4ra, Sarah Larsen, Scott Tuckfield, Steve Stones, Todd Powelson, Valerie Thompson, Vanessa Colunga, and Yazmine Tatiana.The show will hang October 1st through November 3rd, with a gallery stroll reception on October 18th from 6-9pm. Admission is free and open to the public.